You've been struggling to get your acne cleared up and now you feel like you're at an impasse. You're not sure if you should stay the course and keep doing what you're doing or break down and make an appointment with a dermatologist. How do you know when it's time for you to move on to a prescription acne medication? Here are five signs you need a prescription medication to get your acne under control. When you start breaking out, the natural inclination is to head to the store and buy some over-the-counter acne treatments. And many of these OTC products work really well, for some people. But OTC treatments don't always work. If you've used OTC acne products, consistently, for several months and your acne hasn't improved, that's a good indication it's time to move on to something stronger. Over-the-counter products really work best for mild breakouts. 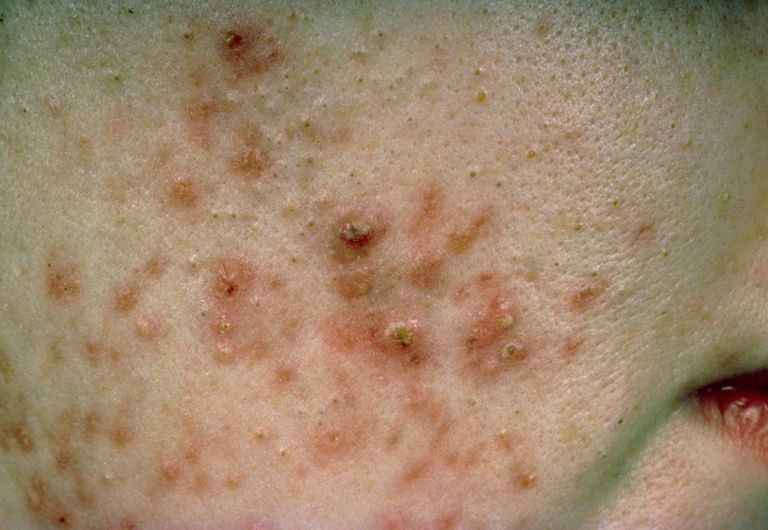 For severe acne, they just won't do the trick. Moderate to severe inflammatory acne is tough to treat, so you'll have much better results having an experienced dermatologist on your side helping you with a treatment plan. If your acne is leaving scars, or you know your skin is very prone to scarring, get a prescription medication ASAP. Acne breakouts are temporary, and they're much easier to treat than acne scars. Don't delay in making an appointment with the dermatologist. The quicker you get on a prescription medication that works for you, the less long-term damage acne will do to your skin. What about those acne scars you already have? There are many different acne scar treatments that give considerably good results. Scar treatment procedures are done after your acne is under control and your skin is generally clear. Acne doesn't limit itself to the face. No, it likes to pop up seemingly everywhere, from back, chest shoulders, even on your bum. Acne that's widespread is typically more challenging to treat, not to mention body acne tends to be especially stubborn. A prescription medication is really the best plan of action here. Trying to treat acne on your own can be plain overwhelming. If you're feeling unsure what to do about your acne, or you just need help devising a treatment plan, make a call to your dermatologist. This is doubly true if you're feeling depressed about your skin, or if you feel your acne is negatively impacting your life. In these cases, it's best to see a doctor for prescription acne medications. Remember, it's better to get an appropriate prescription medication than waste valuable time and money on OTC products that just aren't effective for you. So although it may seem like a bit of a pain to have to make an appointment with a dermatologist, it will be worth it in the long run. Are OTC Products Right for Your Acne?